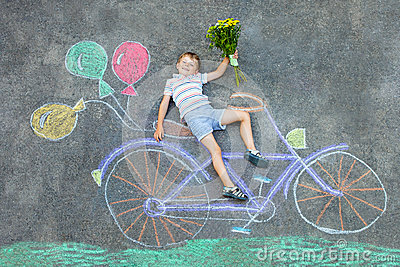 Happy little kid boy having fun with bicycle and air balloons picture drawing with colorful chalks on ground. Children, lifestyle, fun concept. funny child playing and dreaming of future and profession. Sunny day young dark-haired father and his little son in white t shirts having fun and playing outdoor.